All the way back in 2010 the Turbo Grafx Game Box hit the App Store. We reviewed its initial release and thought it was amazing- Particularly as it was constantly updated with new games until it finally vanished from the App Store a good five or more years ago. Around the same time, Sega was busy releasing its games on mobile wrapped in a terrible emulator, which really felt like the Weekend at Bernie’s version of all these classic games- They looked and sounded the same, but controlled like, well, moving Bernie’s sunglasses-clad corpse around. Meanwhile, we found ourselves constantly saying, “I just wish Sega would do what NEC is doing with their Game Box app, there’s so many classic games they could release." Well, seven years later, and that seems like what Sega is doing with the new “Sega Forever" program. After that, they plan on releasing new games every two weeks. These games are going to be supported by ads, playable offline, and will both support cloud-saves and bluetooth controllers. If the ads annoy you, each game will have a no ads IAP for $1.99. 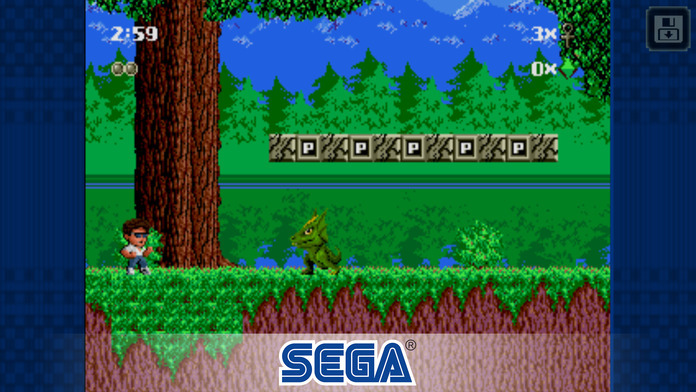 According to Sega, each game is “adapted specifically for mobile devices while remaining faithful to the original games." I suppose that means the horrid emulator of classic Sega iOS ports is gone, which is a very, very good thing. Ahead of tomorrow’s official launch, Kid Chameleon has soft launched in the Philippines. If you’ve got an iTunes account there, you can give the game a look, but so far excitement in our community is pretty high surrounding these re-released classics. Stay tuned for more news as we keep an eye on the App Store for the rest of the games to launch sometime tomorrow.